Erik and Selma share a find while excavating in the TPC area at Çatalhöyük, Turkey. Limestone Figurine (U20736x1), Çatalhöyük, Turkey. Testing Neolithic oven fire and smoke conditions in the Experimental House at Çatalhöyük, Turkey. Worked flint and bone, Çatalhöyük, Turkey. 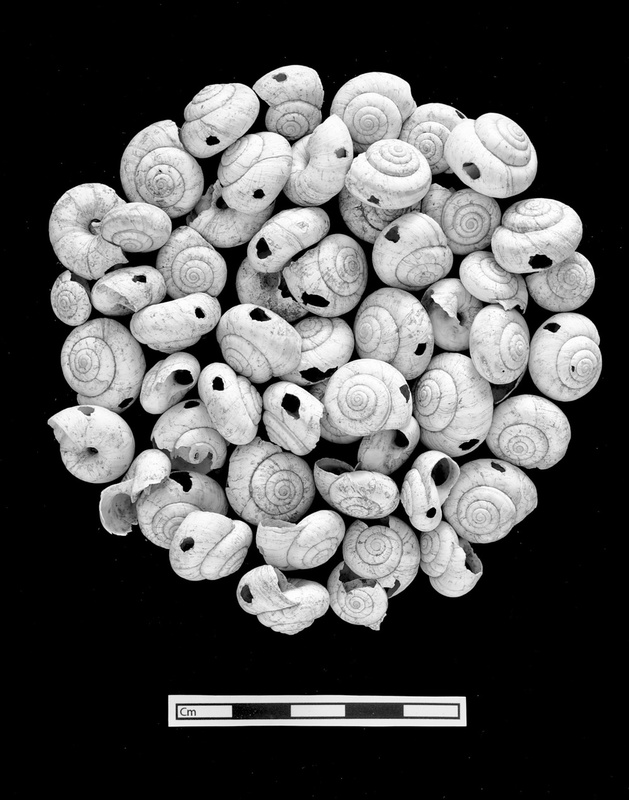 Perforated shell necklace pieces, Çatalhöyük, Turkey. Excavation in the South Area, Çatalhöyük, Turkey. North Area director, Burcu Tung, and Stanford field school student Billy Sawoyo Sankei documenting their excavation at Çatalhöyük, Turkey. 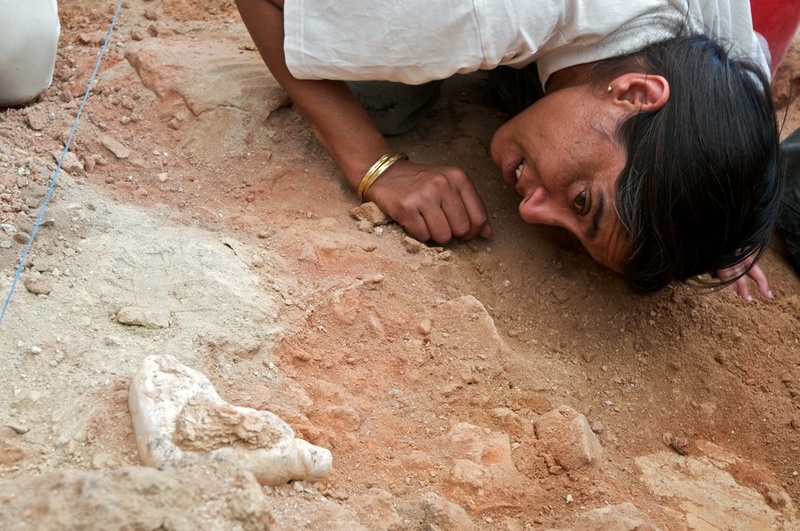 Sahina Farid examining an in situ figuring prior to removal, Çatalhöyük, Turkey. 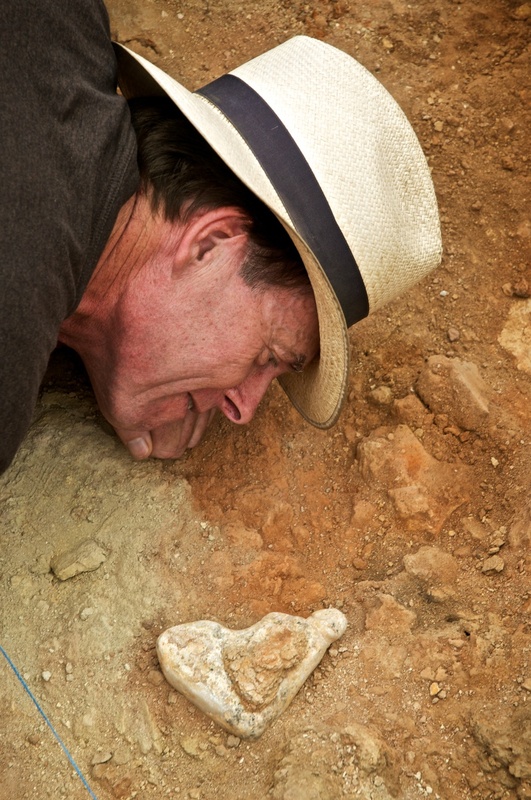 Ian Hodder admiring an in situ figuring before removal at Çatalhöyük, Turkey. Excitement as the excavation team discovers a new figurine in the South Area, Çatalhöyük, Turkey. Phase of Building 49, Çatalhöyük, Turkey. Worked flint and obsidian, Çatalhöyük, Turkey. 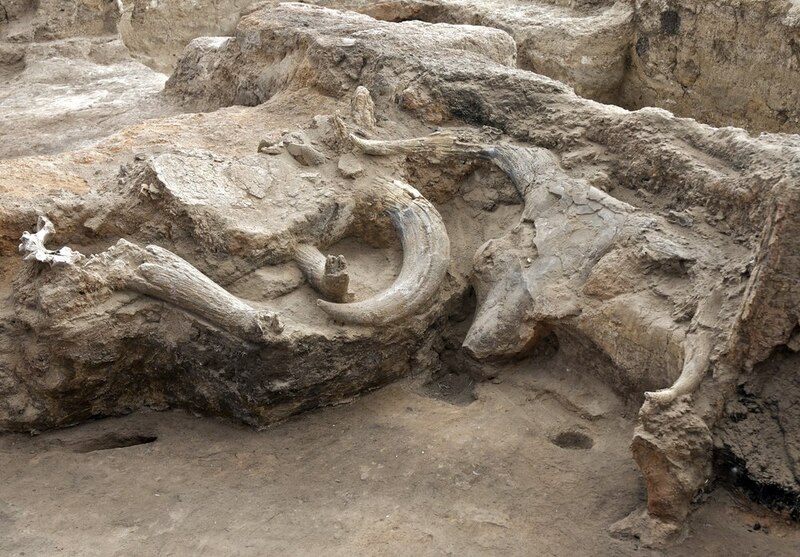 Corner installation around a burial cut with bucranium horncores, and wall embedded sheep skull, Çatalhöyük, Turkey. Bear stamp seal, Çatalhöyük, Turkey. Bucranium horncore installation in Building 52, Çatalhöyük, Turkey. Skeletal female figurine, Çatalhöyük, Turkey. Ashley Lingle and Flavia Ravaioli conserving Neolithic wall plaster, Çatalhöyük, Turkey. Banu Aydınoğlugil demonstrates an obsidian mirror excavated in 2012, Çatalhöyük, Turkey. 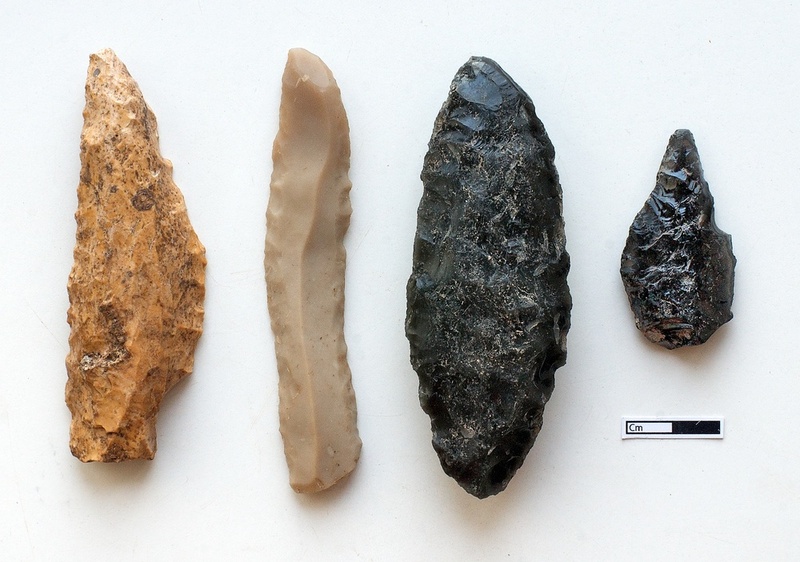 Cluster of worked bone, flint, and obsidian, Çatalhöyük, Turkey. Burcu Tung and Ian Hodder discuss excavation plans in Building 77 (North Area) during the last days of the 2013 season. In the foreground, Renata Araujo cleans her area for a photo.